“From executives through to PA’s and receptionists, email can consume more than 50% of the working day and sometimes our nights! Its 24 hour availability is a positive and a negative and often leaves us overwhelmed by its volume. Research shows that if you use your email software as a tool to control your working day (rather than be controlled by it) you can be up to 80% more productive. 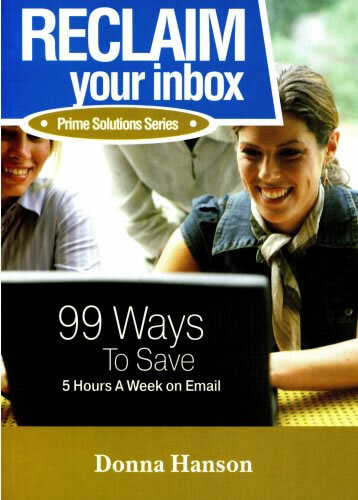 RECLAIM Your Inbox contains superb ideas and tips to revamp your personal email protocol and reclaim your Inbox!